Wilke told us how he reacted when Jeff Bezos first described the working-backward process and the documents at the center of it. Invent and simplifymay be one of the company’s leadership principles but, Wilke says, “I thought it was too simple,” Soon he appreciated that is exactly its strength. The format creates a simple, standard interface for putting ideas in play. Once everyone becomes familiar with it, barriers to participation fall. Anyone in the ranks knows the process for proposing an invention. Well down into the organization, Wilke told us, “these working-backward documents are written by individual contributors with a passion.” And when their projects are discussed, all the energy and attention is focused on the idea itself, not its packaging. Yet we would emphasize that this ends up being a competency-buildingstrategy. Working backwards from a clearly articulated vision of something a customer would love forces the company to understand what capabilities it lacks to deliver that, and invest in getting them. Then, having developed that capability, the Amazonians start to get even more ideas for offerings that customers would love. As another example of capability-building, he mentions the Kindle, which as a manufactured electronic device represented a huge departure from Amazon’s internet retailing roots. It was, he recalls, one of those “disagree-and-commit moments” for him. “We’re a software company, not a hardware company,” he protested at the board meeting where the decision had to be made. He predicted all kinds of ways the company would pay the price for its lack of competence in manufacturing. But ultimately Bezos declared, “"Well, I think we'll do better than that, but I'm willing to concede that all those things might happen, and we're still gonna do it." So Wilke got on board. “Turns out, I was right on everything I called out,” he says. 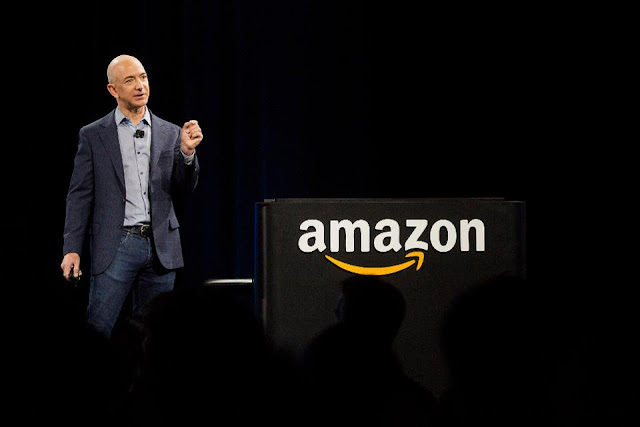 “And he was stillright to say we should do it.” Amazon came out of that experience with a powerful new set of capabilities – and even more convinced that it should use its customer-centric strategy to drive competency-building, rather than let its existing competences drive strategy.